Despite an increased recognition that plagiarism in published research can take many forms, current typologies of plagiarism are far from complete. One under-recognized variety of plagiarism—designated here as compression plagiarism—consists of the distillation of a lengthy scholarly text into a short one, followed by the publication of the short one under a new name with inadequate credit to the original author. 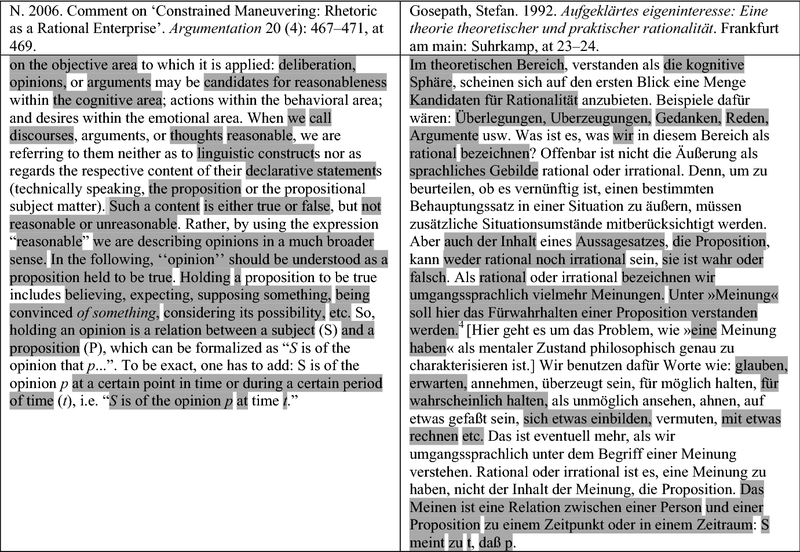 In typical cases, compression plagiarism is invisible to unsuspecting readers and immune to anti-plagiarism software. The persistence of uncorrected instances of plagiarism in all its forms—including compression plagiarism—in the body of published research literature has deleterious consequences for the reliability of scholarly communication. Not the least of these problems is that original authors are denied credit for their discoveries. When unsuspecting researchers read articles that are the products of plagiarism, they unwittingly engage the arguments of hidden original authors through the proxy of plagiarists. Furthermore, when these researchers later publish responses to the plagiarizing articles, not knowing they are engaging products of plagiarism, they create additional inefficiencies and redundancies in the body of published research. This article analyzes a suspected instance of compression plagiarism that appeared within the pages of this journal and considers the particular ways in which plagiarism of this variety weakens the quality of scholarly argumentation, with special attention paid to the field of philosophy. 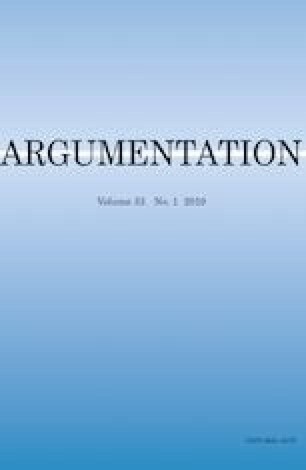 This paper has been improved by comments from two anonymous reviewers for Argumentation, and to them I extend my thanks. I am grateful to Alkuin Schachenmayr, Pernille Harsting, Michelle Dougherty, Lawrence Masek, and Brian Besong for comments on earlier versions of this paper. I have also benefited from conversations with Bruce Gartner and Benedict Dougherty. The Galvin Family Foundation, which established the Sr. Ruth Caspar Chair in Philosophy at Ohio Dominican University, made work on this article possible. See Figs. 6, 7, 8, 9, 10, 11 and 12. Illarietti, Davide. 2018. Il docente dell’Usi ha copiato anche il Papa. Ticino Online, January 18. https://www.tio.ch/ticino/attualita/1236159/il-docente-dell-usi-ha-copiato-anche-il-papa. Accessed 4 Feb 2019. Kramer, Bernd. 2018. Universität Göttingen: Aufstieg und Fall des Dr. M. Die Zeit, January 5. http://www.zeit.de/campus/2018/01/universitaet-goettingen-betrug-dozent-professor. Accessed 4 Feb 2019. Martinelli, Dario. 2018a. Statement of retraction. International Semiotics Institute, January 8. https://www.facebook.com/isisemiotics/posts/880483692121348. Accessed 4 Feb 2019. Martinelli, Dario. 2018b. Concerning our statement of retraction. International Semiotics Institute, January 18. https://www.facebook.com/isisemiotics/posts/883179261851791. Accessed 4 Feb 2019. Newman, Melanie. 2010. Plagiarism probe sees UK scholar quit Belgian post. Times Higher Education, March 11. http://www.timeshighereducation.co.uk/410670.article. Accessed 4 Feb 2019. Palus, Shannon. 2015. Two retractions cost economic historian book chapter and journal article. Retraction Watch, July 20. http://retractionwatch.com/2015/07/20/two-retractions-cost-economic-historian-book-chapter-and-journal-article. Accessed 4 Feb 2019. Palus, Shannon. 2016. Philosopher earns 14th retraction for plagiarism. Retraction Watch, June 8. http://retractionwatch.com/2016/06/08/philosopher-earns-13th-retraction-for-plagiarism. Accessed 4 Feb 2019. Quintanam, Chris. 2017. Here’s what academics are saying. The Chronicle of Higher Education, April 5. http://www.chronicle.com/article/Heres-What-Academics-Are/239699. Accessed 4 Feb 2019. Roig, Miguel. 2014. Journal editorials on plagiarism: What is the message? European Science Editing 40(3): 58–59. http://europeanscienceediting.eu/articles/journal-editorials-on-plagiarism-what-is-the-message. Accessed 4 Feb 2019. Spodenkiewicz, Paweł. 2004. Przykra afera plagiatowa na Uniwersytecie Łódzkim. Naszemiasto, December 18. http://lodz.naszemiasto.pl/archiwum/przykra-afera-plagiatowa-na-uniwersytecie-lodzkim,428478,art,t,id,tm.html. Accessed 4 Feb 2019. Stern, Victoria. 2018a. A cardinal sin? Communications researcher accused of plagiarizing former Pope. Retraction Watch, January 12. https://retractionwatch.com/2018/01/12/cardinal-sin-communications-researcher-accused-plagiarizing-former-pope. Accessed 4 Feb 2019. Stern, Victoria. 2018b. University defends researcher accused of plagiarizing former Pope. Retraction Watch, January 31. https://retractionwatch.com/2018/01/31/university-defends-researcheraccused-plagiarizing-former-pope. Accessed 4 Feb 2019. Tudvad, Peter. 2007. SAK—An unscholarly biography of Kierkegaard (trans: Piety, M.G.). The Torch, January. http://www.faklen.dk/english/engtudvad07-01.php. Accessed 4 Feb 2019. Weinberg, Justin. 2014. A case of extensive plagiarism. Daily Nous: News for and About the Philosophy Profession, November 5. http://dailynous.com/2014/11/05/a-case-of-extensiveplagiarism-guest-post. Accessed 4 Feb 2019. Weinberg, Justin. 2018a. Plagiarizes again—And is caught by philosophy prof.’s class (updated). Daily Nous: News for and about the Philosophy Profession, January 15. http://dailynous.com/2018/01/15. Accessed 3 Feb 2019. Weinberg, Justin. 2118b. Plagiarist’s university issues criticism …of the whistleblower. Daily Nous: News for and about the Philosophy Profession, February 1. http://dailynous.com/2018/02/01/plagiarists-universityissues-criticism-whistleblower. Accessed 3 Feb 2019. Wolters, Eugene. 2014. I nonetheless deeply regret the incident. Critical Theory, July 12. https://goo.gl/pGS9jg. Accessed 4 Feb 2019.